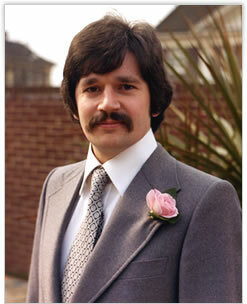 In the autumn of 1981, in Ashurst Road, Friern Barnet, north London, sat a worried man. It was six years since he had started his own design company (M.R. Creek ltd) but, sitting at home behind his old drawing board in a spare bedroom, Michael Creek pondered what to do next. His wife and child were downstairs, gnawing on their last crust of dried bread. His main income stream, from ‘AMBIT International’ had ended, as they were in financial difficulties but, with a mortgage to pay, a wife and child to feed and a loan on his precious sports car to repay, he had to think of something to do that would bring that income stream back fast. What could he design to make things better for my family, he thought? Suddenly, a light came-on in his head. ‘I know’, he thought, I’ll design a small, but powerful, integrated amplifier to compete against the might of the NAD 3020. At that time, the ‘Hi-Fi Market’s group’ were allegedly selling more than a thousand 3020’s a month in the UK. He considered that, ‘if only he could poach a mere 10% of that established market with his new amplifier; he could make ends meet once again’. Never mind that he knew next to nothing about promoting it. Previous experience in designing and manufacturing budget amplifiers and tuners came from working for 6 years at his father’s company, Wyndsor Recording, in Friern Barnet north London and for a friend’s company (AMBIT in Brentwood Essex) that sold Hi-Fi products only in kit form. Having made a New Year’s resolution in 1976, when establishing M.R. Creek Ltd, to avoid manufacturing anything ever again, it was galling to have to go back on that pledge but, ‘needs must when the devil drives’. In autumn 1981, the UK economy was slowly recovering from one of the many downturns that predominated in the seventies. Mrs Thatcher had been in power for just over a year and on the other side of the world Argentina’s generals were preparing to invade the Falkland Islands. What better time to launch a new company! Sales of vinyl records were peaking, prior to the introduction in 1983 of the CD format. There was, however, a Feel Good Factor in the air. The name of the company actually took longer to decide upon than the first product took to develop. Mike imagined that if someone with a funny name like Harold Leak could be successful with his eponymous company, why not call his new company Creek Audio Systems after his own amusing name? Mike Creek had ploughed every penny Barclays Bank was prepared to lend to him into stock, to build 100 amplifiers. He had no idea if he could sell them or not, but if retailers wouldn’t buy them, he considered selling them at cost price to the public just to get the money back. EBAY wasn’t invented, nor was the Internet, but weekly newspapers like the Exchange and Mart, did a similar job, if not a little slower. The concept of his idea was to make an amplifier in a case roughly half the size of most conventional amplifiers at the time, but with similar performance and power output – say 30 – 40 Watts per channel. 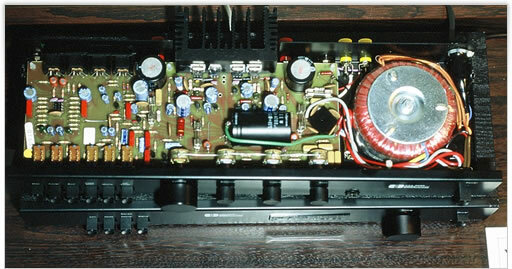 The amplifier topology was based on the unique 5 transistor per channel circuit originally designed by Jim Samiotis for the Wyndsor 1500S record player with FM tuner and also used in the AX-100 integrated amplifier. With only 12 to 15 Watts per channel, the AX 100 was considered under-powered for the Hi-Fi enthusiast using bookshelf speakers, but Mike knew the basic circuit had such potential, that it was capable of out-performing any main-stream branded amplifier he compared it to at the time. It was far better than his Quad and Radford amplification at the time. To boost the power output, bigger power transistors and a larger heatsink were used, together with a completely new PCB layout, to fit inside the small case. This also required a low profile 120VA toroidal mains transformer, instead of the large, square format frame transformer that was normally used at the time. A new Phono stage was developed by a friend called Tom Woodford, who was a field sales representative at Philips Semiconductors, which had a very pleasant sound quality and probably was most influential in achieving the Creek sound. To save time and cost, Mike bought a quantity of surplus Wyndsor AX 100 amp wooden covers and sawed them in half and then reduced the depth, in his father-in-law’s joinery company, to create a much smaller footprint than the original Wyndsor amp he had designed in the mid-70s. So began the journey. From the drawing board to the production line took a couple of months and Creek Audio’s first amp was ready to demonstrate to customers. The first opportunity was at the annual Audio T Hi-Fi show at the Swiss Cottage Holiday Inn, in January 1982. At £99, the amp was the star of the show, but it brought many detractors, who thought it would be a flash in the pan. One journalist, A.O. at the time wrote that serious buyers should buy from well established business like ARCAM, if they wanted to avoid disappointment in the future. What did he know and where the hell is he now? At the Audio T show Mike met the freelance salesman David Palmer, from Sheffield, who was working as a rep for Jim Rogers. They got together after the show and it was decided that David would represent Creek Audio for most of the UK, leaving London and the South East to Mike to cover himself. In the first week at work, David Palmer took orders from Audio Projects – Leeds, W.A. Brady – Liverpool, Tape Recorder Centre – Halifax, Audio Centre – Sheffield, and several others. When these written orders were dropped through the letterbox, Mike was astonished but knew it would require a huge change of circumstances to keep up with the demand. 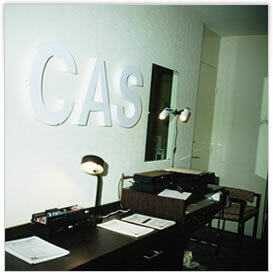 The first sale was to Audio Projects in Leeds, on the 29th March 1982, which is 30 years ago from this date. (28/03/2012) The 4040 integrated amp was serial number 5501 and it is probably still out there working in someone’s system. What can you buy today for £99 that still works in 30 years and can bring a tear to the eye in the same way that music can to the listener?